"I have been with Final Touch for over 10 years. My home is always sparkly and clean! They have also helped me pack and unpack several times when I changed residences. Their professionalism is only surpassed by their efficiency, attention to detail, and warmth in which they leave my home! Thanks Final Touch!!!" "Final Touch Housekeepers continue to amaze me! Each visit is done professionally and with care. I'm looking forward to your next visit." "I'm a long-time customer and will continue to use Final Touch. She is always timely and her services are top notch when it comes to housekeeping. A company worth referring." "Wow! Schera was awesome. Called at a moment's notice after a big party for clean-up services and they left no stone unturned. Nice to do business with a friendly local company." “If you want your house to literally sparkle, you've come to the right place. Schera is the best, and you can take that to the bank!" "Thank you for another great year of service." "Thanks a million times! Without your service we would be lost. As always your attention to detail has helped us pass our yearly inspection. The last 12 years of your service allowed us to maintain one of the cleanest group homes in the county. Special Thanks to Schera and her team of housekeepers." 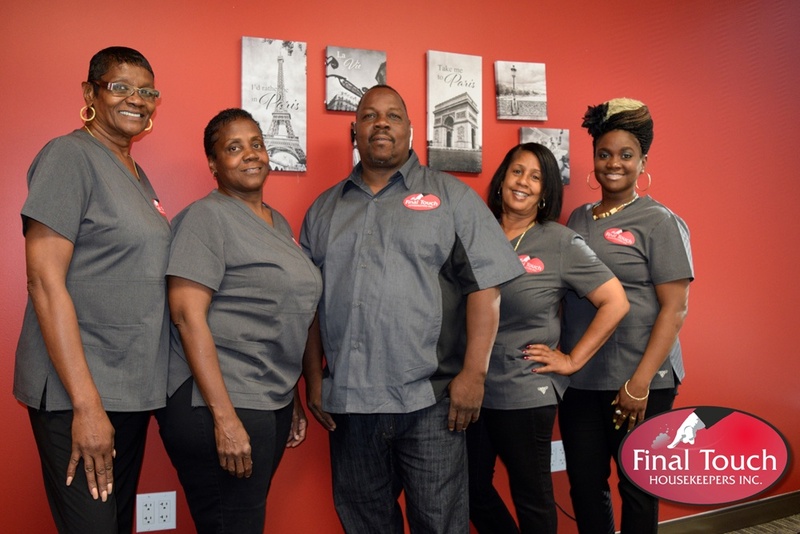 “Final Touch Housekeepers have provided quality, affordable housekeeping services for me for several years now. Schera ensures her staff is professional and efficient. I'd recommend this service to anyone needing maid or janitorial cleaning services." "Final Touch is an excellent service company with excellent employees for whom I have had the pleasure of cleaning my home. They are timely, prompt, and conduct service with a smile. I give them an A++ for service and promptness." If you are very much satisfied with our services or if you have comments on how we can improve your experience, please let us know. We appreciate your feedback as it helps us gauge our performance and improve the way we carry our work.